The 2018 FIFA World Cup is just around the corner. Sixty-four matches will take place over 12 venues in 11 Russian cities as 32 teams fight for the right to be named champions of the world. Of the 12 stadiums built or renovated to the World Cup, Lužniki Stadium in Moscow and the Saint Petersburg Stadium will be used the most. The lights, the facades the scenery, the designs for each of these stadiums are incredibly stunning. Nestled amidst the Russian capital’s big business centres and myriad historic landmarks, the Luzhniki Arena will be the epicentre of the FIFA World Cup 2018 as it will host the opening match, a semi-final, and the final. The capacity has been increased from the original 78,000 to the completely refitted 81,000 seats. 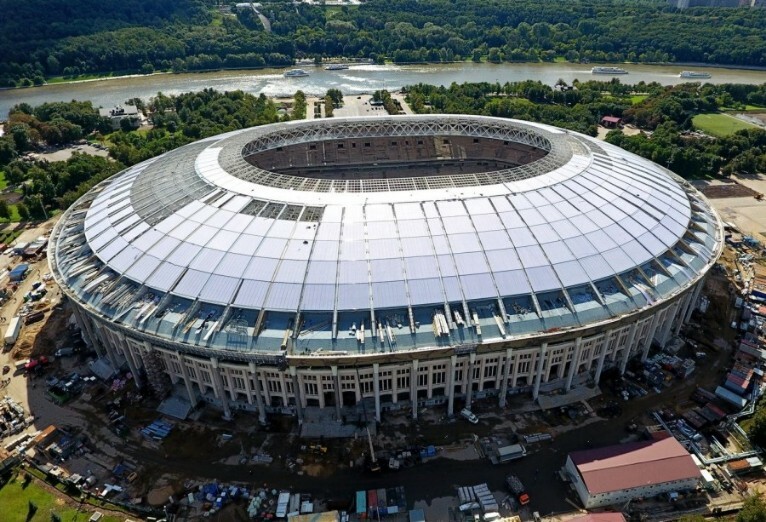 The new and improved Luzhniki Stadium opened to the public in September 2017, which also doubled as the launch of the official FIFA World Cup 2018 Trophy Tour. 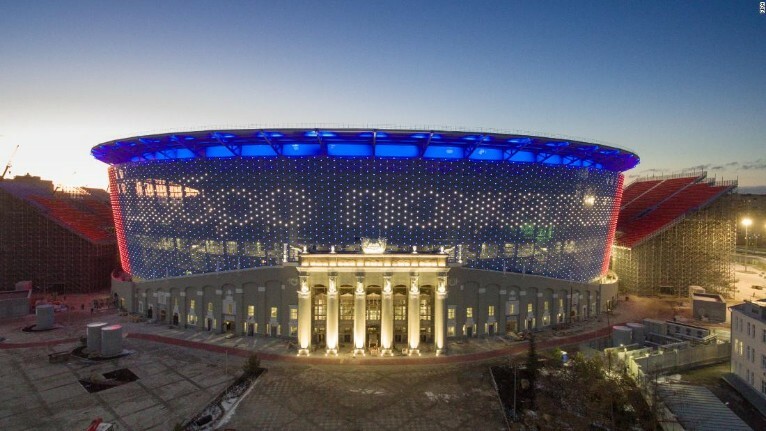 The Volgograd Arena has been built in place of the old Central Stadium in the city of Volgograd in southern Russia. With a capacity of 45,000 divided over two tiers, the new build designed features a roof made out of cable and boasts of a meshed facade. The eye-catching open lattice design and the cables reminiscent of the spokes of a wheel lend the venue an element of capaciousness and airiness. 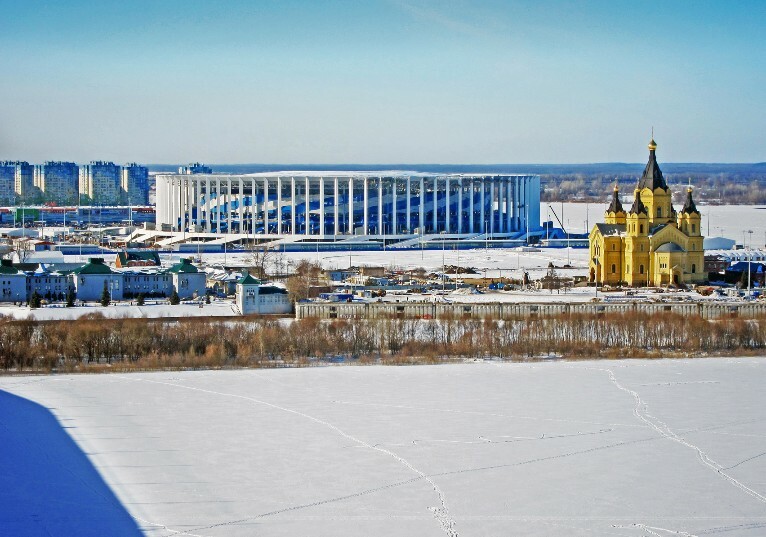 The Rostov Arena resembles a kaleidoscopic jewel placed thoughtfully on the River Don’s shores. 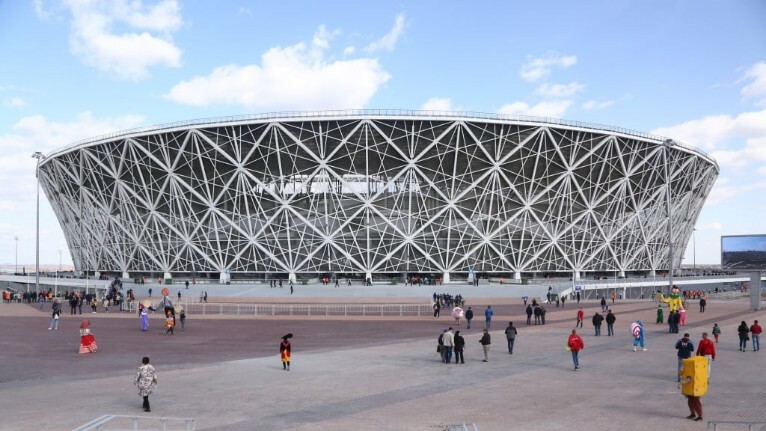 The stadium officially opened in April 2018 and is a part of the considerable new development in the city of Rostov that also includes a city centre, a park, seven kilometres of cycle path, pedestrian walkways and lush green areas. The facade encompassing the venue seems to mimic the flow of the adjacent river as it showcases a ripple effect design. 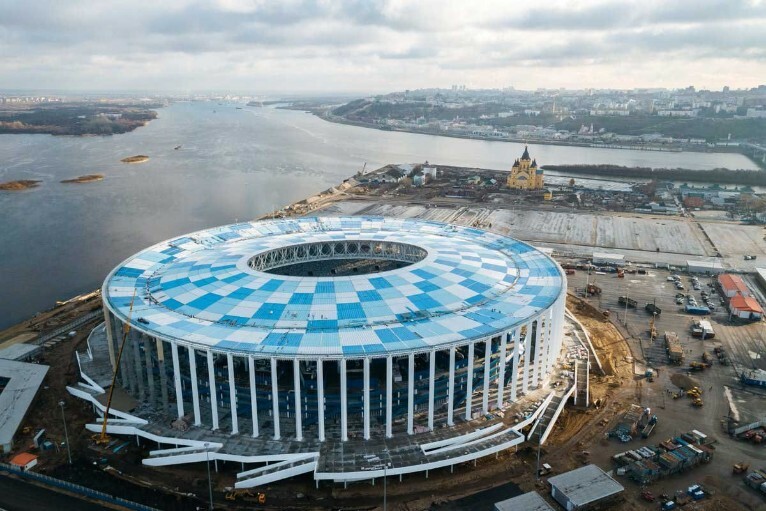 Designed by Japanese architect Kisho Kurokawa, Krestovsky Stadium, otherwise known as Saint-Petersburg Stadium for the World Cup, is home to Zenit Saint Petersburg, one of the most successful Russian clubs in the last 10-plus years. The venue is on Krestovsky Island facing the Gulf of Finland and its most attractive feature is a retractable roof. 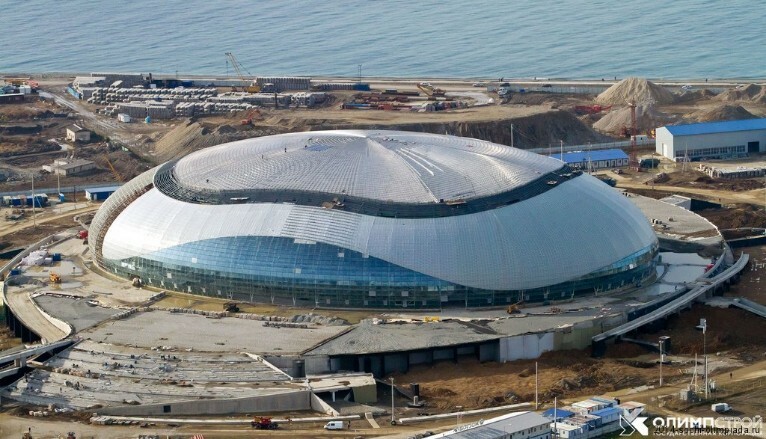 The Fisht Stadium designed by Populous in the southernmost host city of Sochi, is one of Russia’s most intriguing projects. 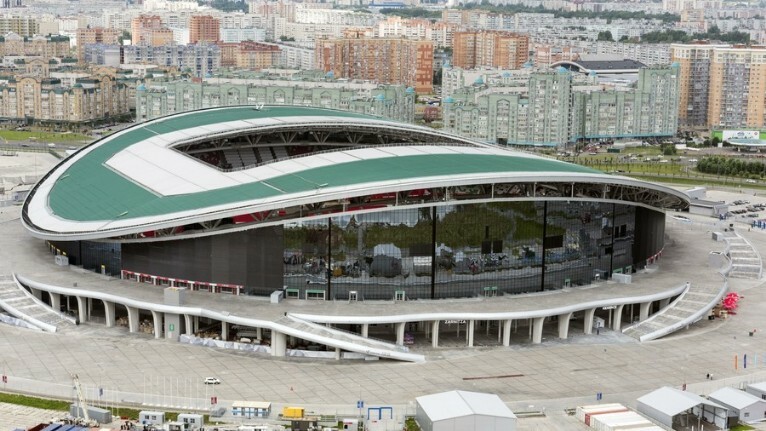 The enthralling open-air football stadium in Russia was initially built as an enclosed, indoor facility as the focal point of the 2014 Sochi Winter Olympics and also played host to the opening and closing ceremonies. 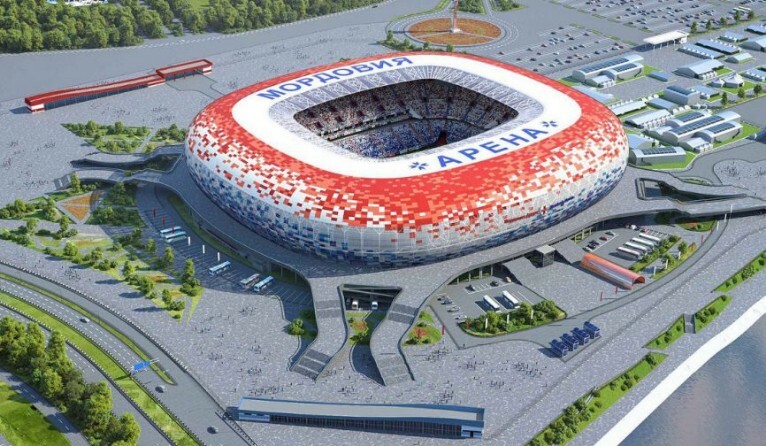 The Spartak FC, the most successful team in the history of Russian football, finally have a stadium to call their own, thanks to the FIFA 2018 World Cup and the red and white theme of the stadium is reflective of the home team. The Otkritie Arena, designed by London-based architects Sport Concepts, was initially planned to have a capacity of 35,000 seats which was later revised to 42,000 with an eye on the World Cup. The exterior design of the stadium features hundreds of interlaced red and white diamonds, evocative of chainmail armour. The city of Kazan is located about 500 miles east of Moscow. If you look at the image below, you'll notice reflective panels on the side of the stadium. That's actually an LED facade, the largest outdoor screen in Europe! The Ekaterinburg Arena, 2018 FIFA World Cup’s easternmost stadium, is also its most distinctive venue. The arena that was opened in 1957 as the Central Stadium, was extensively refurbished to house over 45,000 football fans in the most innovative fashion imaginable. The new and improved Ekaterinburg Arena reopened in April 2018 with its original classical-style facade, the Soviet neoclassical pillars lining the main entrance, and the impressive ornate statues largely intact, but with the interiors completely rebuilt. Inspired by elements of nature characteristic of the Volga region in Russia, the Nizhny Novgorod Stadium is one of the new stadiums that were exclusively built for the FIFA 2018 World Cup. The construction of the riverside stadium took about three years to complete and opened in April this year. The venue features a semi-transparent facade that is lit-up at night and the adjoining confluence of the Volga and Oka rivers in the backdrop looks breathtaking. The circular design on the roof of the stadium’s semi-transparent undulating facade draws on wind and water with shades of blue and white. 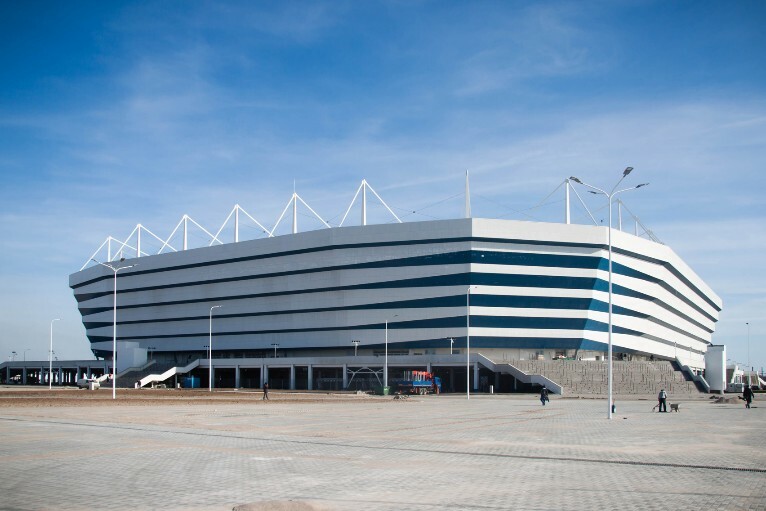 Sandwiched between Poland and Lithuania, Arena Baltika inKaliningrad is a unique venue among the 2018 World Cup host cities as it is not an actual part of the Russia landmass. 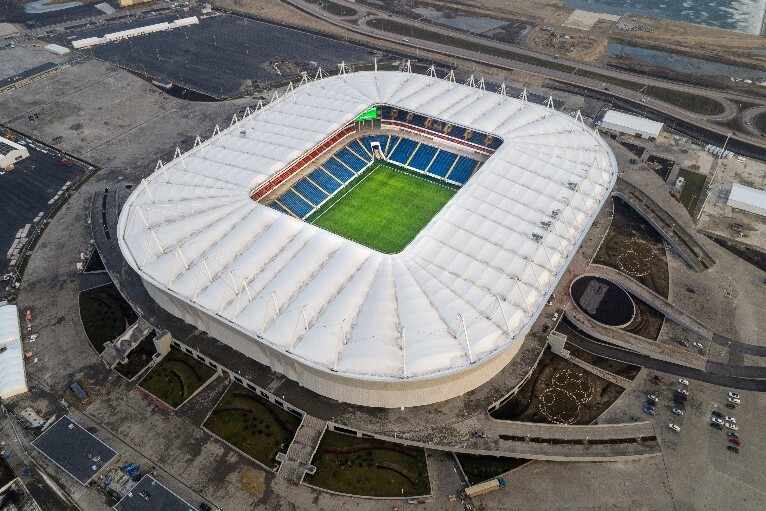 The new home of the FC Baltika, designed by French architects Wilmotte & Associés S.A., was originally aimed for a capacity of 45,000 and a retractable roof, however, financial difficulties and realistic deadlines caused the design to be scaled down to a simpler alternative with 35,000 seats. 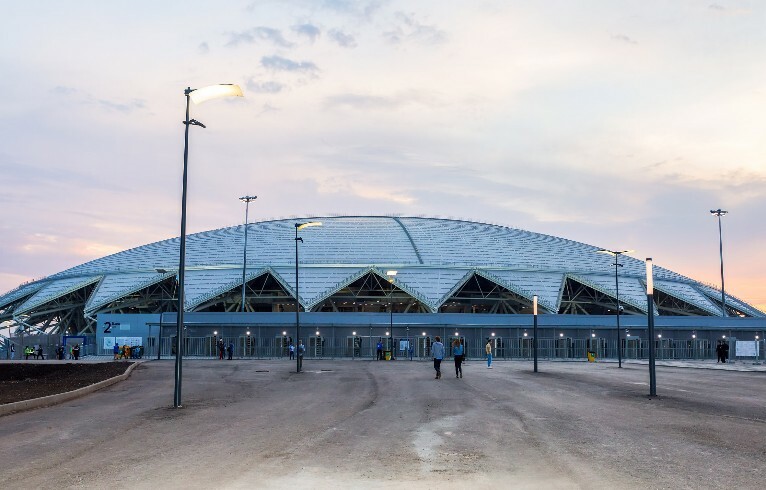 The Mordovia Arena is another newly opened venue of the FIFA 2018 World Cup. The full capacity of the arena is marked at 45,000 seats which will be brought down to a meagre 28,000 seats after the World Cup by converting the upper tier into a walking atrium. 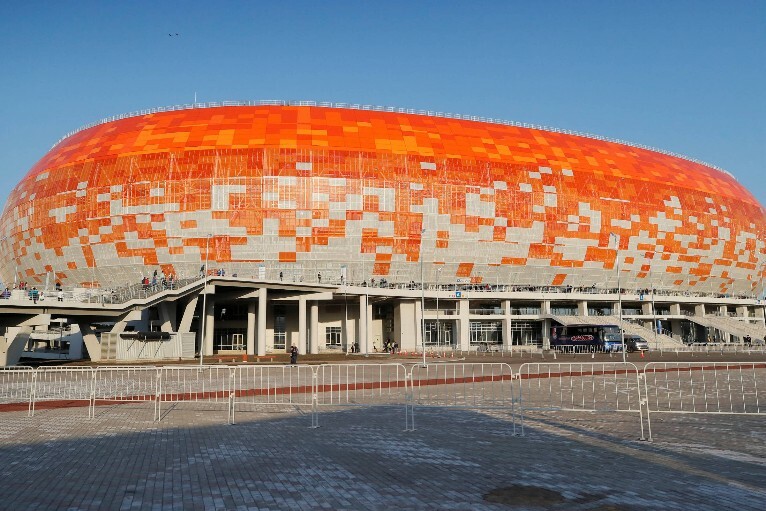 The Mordovia Arena exhibits a deviant colour palette of orange, red and white on its facade, and is being recognised as the most colourful, vibrant and fiery venue for the World Cup. The arena was initially planned to be built on the tip of a peninsula at the confluence of the Samara and Volga rivers but was later relocated to a site north of the city. The standout feature of the Cosmos Arena is its 66.5-metre-high dome roof, which is composed of 32 panels and resembles a flying saucer. The facade is moulded from space-age glass and is built to pay homage to Samara’s role in the erstwhile Soviet Union’s space exploration programs and the city’s ongoing prominence in the aerospace research business. With just under 45,000 seats, the spectacular design seems to illuminate the night sky.